Kids Go Free in 2019! Book your holiday in 2019 and bring the kids for free! All year! If you're glamping in Lincolnshire then Wigwam® Holidays Millside is an ideal base for easy access to all that Lincolnshire has to offer. Wigwam® Holidays Millside offers a true rural glamping experience in a quiet, picturesque spot in the Lincolnshire countryside. Our luxury ensuite glamping cabins are only ten minutes from the A1 and Grantham railway station, so just a one hour train journey from London and York. The station is on the main Edinburgh to London East Coast rail line so is easily accessible from further north. This makes it an ideal destination for families looking for a glamping experience, for a romantic couples retreat in the outdoors or a friends’ get together. The best glamping holidays are a good mix of relaxation and exploring the local history and landscape. Dive into the local history of Grantham and South Kesteven in this local gem of a museum. It’s situated across the road from the Tourist Information Bureau, so the ideal place to get started on your local attractions bucket list. Run by volunteers, the exhibitions are changed regularly and there’s lots to learn. With a cafe selling hot drinks and snacks, and interactive activities for children it’s well worth a visit. It takes six short minutes to drive to Belton House from Wigwam® Holidays Millside, but if you have time to spare it’s also walking distance (allow an hour). The stately home was designed to impress on sight. Marvel at the stunning interiors and peruse the main collections of literature, oriental ceramics, 17th century art and a vast collection of silverware. There are guided tours to take part in and treasure trails for younger visitors. Be sure to allow time for the gardens and parkland - where you can meander throughout the themed gardens, picnic in a secluded spot and enjoy a spell on the boating pond. Dogs are allowed in these stunning grounds, so the whole family will be happy. 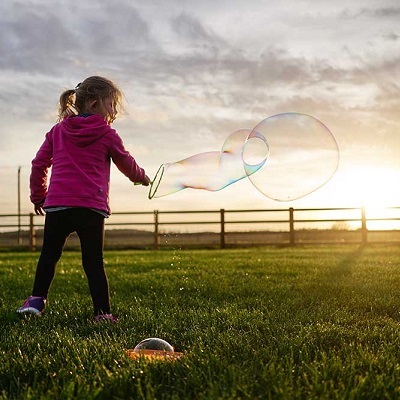 A half hour drive along the A1 and A607 from Wigwam® Holidays Millside will bring you to the adventure wonder world that is Twinlakes Park in Melton Mowbray. With over 130 acres of family rides and attractions, this truly is a haven for thrill seekers and adventurers. 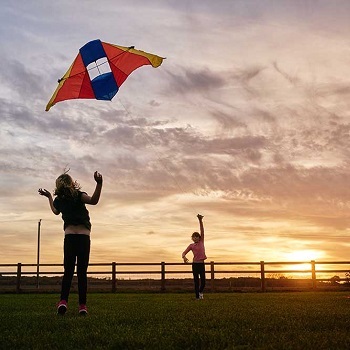 There’s always themed experiences throughout the year so if you’re glamping at Christmas, or glamping in the spring, there’s lots of thrills and excitement waiting for you. After a day of hair raising fun and adventure, what could be better than heading back to your luxury glamping pod, setting a fire and giving your body time to recuperate in the calm and tranquility of nature? 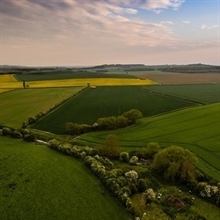 An hour’s drive from Wigwam® Holidays Millside along the A15 is the stunning Lincolnshire Wolds. It is a nominated Area of Outstanding Natural Beauty and as you would expect, boasts stunning scenery of lush hills, captivating valleys, glittering streams and picturesque villages dotted around. 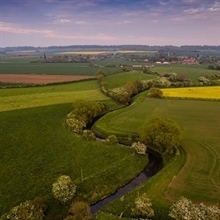 Go for a relaxed walk along part of the The Lincs Wold Way, or take part in a treasure hunt with Geocaching. 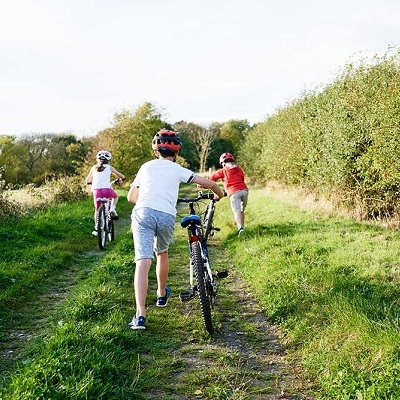 There’s also lots of options for horse riding and cycling and of course - plenty of places to stop for a picnic and a relax among the beautiful countryside. 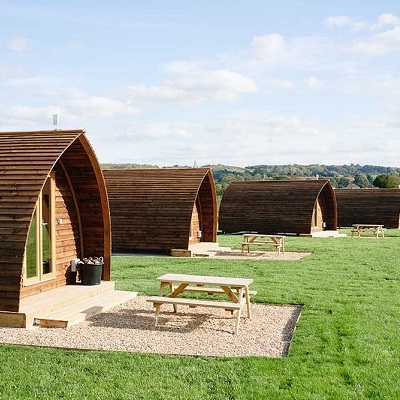 These are just a few of the amazing attractions on offer when glamping in Lincolnshire. For even more inspiration on things to do near Wigwam Holidays Millside attractions page. 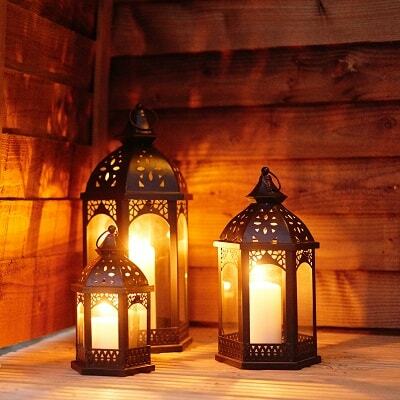 Glamping holidays are about so much more than filling every moment with activities and adventures. It’s important to take a break from travelling and get down to the serious business of relaxing in nature. For those relax-and-do- very-little days, Wigwam® Holidays Millside provides the perfect backdrop. 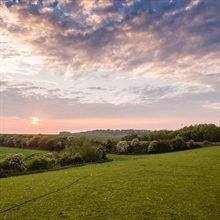 Enjoy an open air breakfast or a tasty BBQ, visit the animals on the far, or enjoy a wander along the farm tracks and footpaths. And if relaxing and doing very little isn’t your thing and you need to turn your attention to an activity of sorts, challenge your gang to a game of pool, then stones need skimming at the nearby river and you can also take part in some relaxing fly fishing - which we recommend you contact the site direct to book. 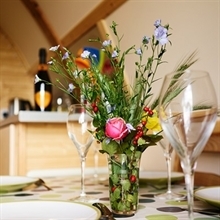 Wigwam® Holidays Millside is a wonderful location to base yourself when you're glamping in Lincolnshire. To get your best ever glamping holiday started - book online today.